Do You Know Herbal Medicine? Itchy eyes, scratchy throat, nose dripping. Allergy season is here and you feel yourself desperately reaching for the box of Benadryl you keep in your medicine cabinet. Shanara Eisan’s roommate knows this feeling too, but when she got sick last semester, it wasn’t Benadryl she was reaching for, but stinging nettle tea. Eisan learned the benefits of the tea when she took the City Farm School’s herbal medicine internship last year at Concodia, and has since incorporated the herbal techniques learned there into her health routine. According to Chesley Walsh, City Farm School’s Media and Education Coordinator, different variations of the internship have been running on and off since 2012. It runs all summer, with a two-week break. This year, they have decided to start it later, at the end of May, so that they have more time to work with the plants. 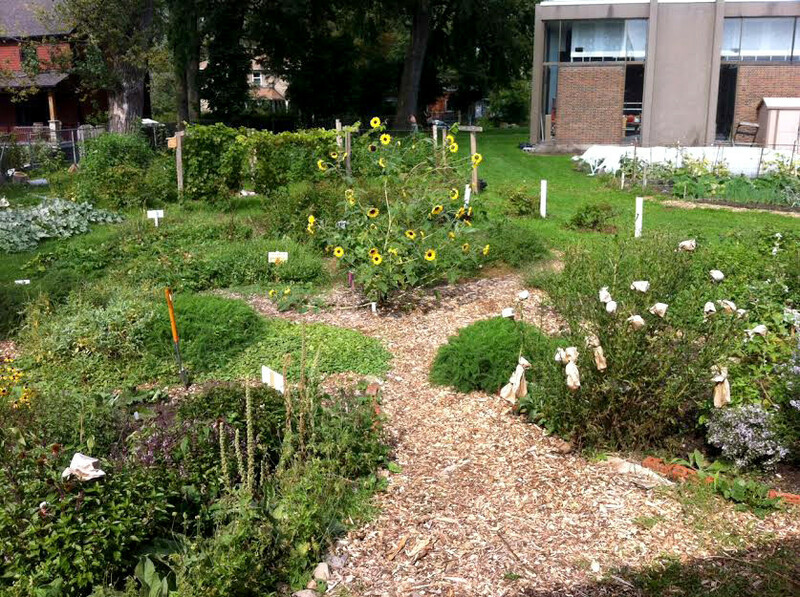 The garden is maintained by the City Farm School, and consists mainly of local perennial plants. “[This] means that most of the plants that we’re working with come back each season. They’re old-growth so they’re woodier, like sage plants and lemon balm, St. John’s wort, things that when we cut down in the winter time will retain that energy in the root system and then come back the following season,” she explained. Sage and lemon balm, for example, can be used to infuse teas. Walsh, as well as several other herbalists in Montreal, take turns facilitating the seven Saturday workshops, hosted by the City Farm School. The workshops take place between May and October. Though most of their interns tend to be Concordia students, the internship is open to anyone over the age of 18. This internship is not affiliated with Concordia, which means it cannot count for course credit. “It’s sort of an education incubator opportunity so internship might not be the best term but the reason we call it an internship is because it does require a three-hour shift every week,” Walsh explained. The program’s theory courses focus on teaching students about various body systems and how specific plants and herbs affect each one. The internship also teaches sustainability, and how to do low-impact garden work, meaning they don’t use any industrial tools. Iman Khailat, an urban planning student at Concordia did the internship last year. She already had some background knowledge, but wanted an opportunity to work more closely with the plants and expand on her knowledge. Khailat admits that some of the theory at the beginning of the course was repetition for her, but she feels that it was a valuable experience nonetheless. “I wanted to have access first of all to material, and I wanted to have more of a hands-on approach because you learn about herbs even online,” said Khailat. Khailat recently started holding herbal medicine workshops of her own in different places around the school, such as the Concordia Greenhouse and Le Frigo Vert grocery store, and she credits this internship with giving her the necessary experience to start doing so. 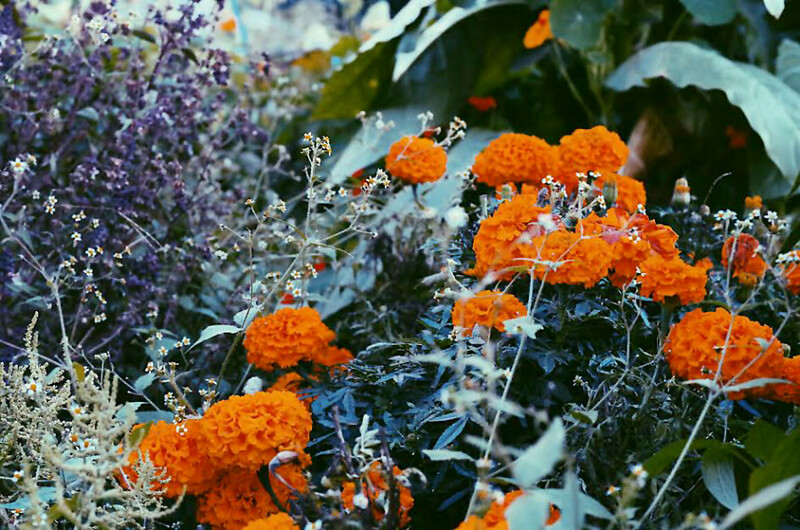 “It helped me consolidate a bit my knowledge of herbs, so it’s really great because I don’t think I would be at this level of herbalism if I had not taken this internship,” she said. At the end of the internship, students share the herbs they harvested throughout the season, which Khailat says has been useful in continuing to make salts and teas over the winter. Khailat admits that the internship wasn’t always perfect. She feels that it is under-advertised, so students have to be extra vigilant about application deadlines, and usually only hear about it through friends and colleagues. She added that this is likely because the internship has limited space available. She also said that students would sometimes receive their material a few weeks late. “We had to remind them to send them to us so that was the only thing but it wasn’t a major issue anyway, cause in the middle of the summer, not many people were willing to read 40-page documents anyways,” she said. She explained that the facilitators do not pressure students to attend their weekly shifts. In order to get the most out of their experience and their money, she encourages interns to go to their shifts. “There’s workshops every few weeks and that’s also great but I think it’s during our shift hours that you really get to know the plants and you handle them and transform them,” she said. Eisan, who studies anthropology and sociology at Concordia, had absolutely no experience with or knowledge about herbal medicine when she did the internship last summer. “I’m just trying to be a lot more sustainable so I wanted to learn about environmentally-friendly ways that I can heal my body from within without relying on pharmaceuticals and stuff like that,” Eisan said. She enjoyed learning how to manage a garden, and how to make various products such as salves and balms. For her, it has become a life skill. Eisan now makes products that can help her roommate or herself when they get sick in the winter months. Eisan emphasized that anyone looking to dabble in herbal medicine should take an internship or course, or do extensive research first. “Something that I never thought about with herbal medicine is that two different herbs can react differently in your body so I think it’s definitely important to learn those things before you go ahead and try to do it yourself ‘cause you might just end up making yourself sick,” she said. The City Farm School is a subsidiary of the Concordia Greenhouse. They also gather funds from sales of their produce, as well as grants and fundraising work. They sometimes sell their products, such as lip balms and moisturizers, at Concordia’s Farmer’s Market. Due to the running costs of the workshops and the salaries of the facilitators and educators, students must pay a fee of $494 for the internship. They have the option of paying in installments, and the school offers some bursaries for those who cannot afford it. People interested in joining must fill out an application form on their website. All forms are due by April 1.